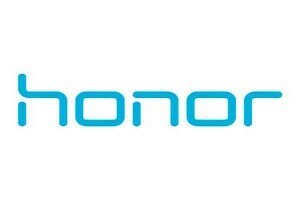 Honor, the sub brand of Huawei, today announced that it has created a milestone by selling 2 Million Honor smartphones this year on Flipkart. In a joint ambition with Flipkart, Honor plans to sell 1M more Honor devices this festive season starting with the fifth edition of Flipkart Big Billion Days Sale. The four-day Flipkart sale from 11th Oct to 14th Oct will offer heavy discounts and offers on the recently launched bestsellers of Honor smartphones such as the Honor 9N, Honor 9 Lite, Honor 7S, Honor 9i, Honor 10 and Honor 7A. Customers can avail 10% Instant Discounts with HDFC Bank Debit/Credit Cards and at a no cost EMI on Bajaj Finserv cards across all Honor smartphones. Honor has announced the festive offers on its smartphones across categories. The brand has assured that the most anticipated offer will be for the Honor 9N, which will be a superstar offer amongst all. The Honor 9N has been remarked as an exquisitely beautiful smartphone with a minimal notch display with 19:9 aspect ratio and 79% screen to body ratio for best viewing experience at the most affordable price. Additionally, the exciting offers are also on Honor 10, Honor 9i, Honor 7A, Honor 7S and Honor 9Lite. Customers planning to buy the mid-range killer Honor 9N can avail the 3+32GB and 4+64GB variant under the superstar offer of a price drop of INR 2000. Global bestseller Honor 10 for the first time ever will be available at an amazing discount of INR 8000 at just INR 24999. Customers can avail 50% Guaranteed Buyback value on Honor 9N and Honor 10. The recently launched Honor 7S can be availed at INR 6499. Owning the power of a flagship, the 3+32GB variant of Honor 9 Lite will be available for sale at INR 9999 and the 4+64GB variant will be available at an exchange offer of INR 3000. One of the bestselling smartphone in the affordable segment- Honor 7A will also be available at an attractive offer of INR 7999 as a part of the Flipkart Big Billion Days Sale. All the devices will be with complete mobile protection starting INR 199. Speaking on the announcement, Mr. P Sanjeev, Vice President, Sales, Huawei Consumer Business Group said, “We have received an overwhelming response from the Indian consumers for our innovative technology available at the most affordable price, the recently published IDC report is a clear indication of honor’s progression and support from the Indian audience. Moreover, our partnership with Flipkart has reinforced our commitment towards our fans and users. Specifically, for this festive season we will take the celebrations to new heights by creating another milestone on Honor smartphones giving a plethora of Indian consumer to become a part of the honor experience. Honor has emerged as one of the fastest growing smartphone brands in India as per the IDC Q2 2018 report. Continuing its focus to capture the imagination of smartphone users, Honor with its India-first-approach registered an unprecedented growth of 281% in 2018 H1 compared to 2017 H2. Being a young and fearless brand, Honor in a strategic partnership with ecommerce platform Flipkart sold 2M units in the 1st 6 months this year. Furthermore, Honor targets to sell 1M units during this festive season with the support of the largest ecommerce marketplace. Catering to a young and brave generation of today’s era, Honor has revolutionized Smartphone AI Photography and Unparalleled Design with the launch of Honor 10 this year. The brand then, took a notch above the rest by introducing the most stunning smartphone Honor 9N. And the most recently launched 7S caters to demand of the consumers looking for smartphones with good package in 7k segment. Evolving and improving upon the previous series of devices, Honor’s latest offerings will continue to deliver superior performance and style in any given setting.